Basically, get better XP per battle, but the premium account is for WoWS only. 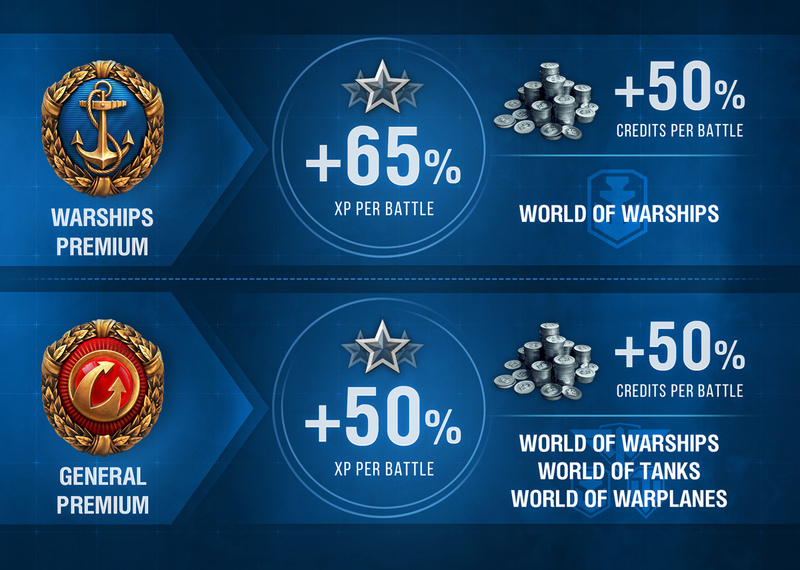 We’re happy to launch a brand new feature: Warships Premium Account. It gives you an extra 15% experience compared to the pre-existing Premium Account (PA), but it’s exclusively for World of Warships. Despite the increased XP yield, the cost of the Warships PA is equal to the cost of the general PA. At the end of a battle, the Premium Account with the highest modifier will be used to calculate your XP bonus. Milk it WG milk it real good…..
What’s so bad about having premium acc for a specific game instead of all 3 if it gives you something extra? WoT will have one too soon. I just update my premium account across the whole World of war trio does this mean i will not get the bonus. That’s the point of separated premium accs. If you play only 1 game you can get a better prem acc, I think that makes sense. Ah, they noticed WoT players buying premium accounts at 50% of on WoWs. Now the question is: can you convert your global premium time to a local one? Cuz I assume someone who just bought an extra year of premium during Christmas offers who sees this will be pretty pissed about it.